We carry a wide range of sheet music for all types of instruments including guitar, drums, piano, trumpet, sax, oboe and flute. If there's something we don't carry we can easily and quickly order it for you. 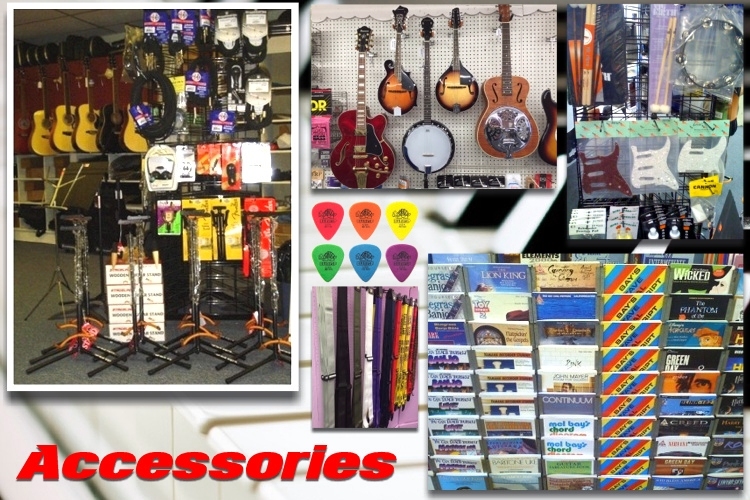 We also carry accessories including tuners, strings, cords, instrument stands, straps, sheet music stands, guitar picks, instrument cleaner, guitar effects pedals, amplifiers and drumsticks. Vic Firth Drumsticks, yes we have them!